Would your Bagua applications work against an opponent who was 35 years younger, stronger and 120 pounds heavier? If he decided to shoot in and grab your legs, how would you deal with it? We had a great practice yesterday, recording self-defense applications using some of the principles and energies from the Bagua 8 Basic Palms form. The last time I recorded applications for this form was in 2008, with Sean Ledig, who is a member of the website. I didn't go into a lot of depth in the video, so after 10 years, I am shooting it again and adding more information and applications. Downward energy is an important internal concept, and the first section of the form, "Fierce Tiger Emerges from Mountain," depends on downward energy. Theoretically, it should work on a shooter, so we put it into action. Two of my students, Justin Snow and Chris Andrews, are big, strong guys who outweigh me by 120 pounds each. They put the pressure on me. All martial arts require practice. Even boxers will throw 20,000 jabs, crosses and hooks before they ever get into a ring. Internal martial arts are no different. 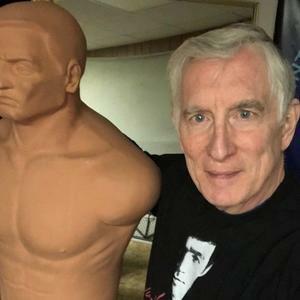 It requires practice if you ever hope to do your techniques in real-life self-defense. So when we decided to work on downward energy yesterday, we put the pedal to the medal. As you can see, they got my legs a couple of times. That is what I wanted to avoid. But as we worked on timing and footwork, it became easier to evade the shooter and take him to the floor. It is important to pressure-test your techniques. In our school, if a technique or a concept would not work "on the street," we throw it out. Unless you put techniques through the pressure test, you do not always know if they will work. Bagua videos are especially frustrating, especially when I see a video showing a teacher doing three or four flowery techniques on a guy who throws a punch and just stands there, letting the teacher do a few unanswered techniques. Real fights don't work that way. The complete video is on the website in the 8 Basic Palms Form section in Baguazhang.